I purchased the NYX butter gloss in the color Eclair and I love it! I have always tended to purchase pinks in lip glosses because they look great by themselves and awesome over lipsticks. First thing I noticed about this lip gloss is the smell is delicious! ; it makes my mouth water just opening it! I definitely felt it was a great name for this gloss and it smells just like dessert. When I wea...read morer this gloss alone I put it on in the center of my bottom lip and just smack to spread it all over; if you go too crazy and apply to much it will glob on and go past your lips and looks a mess! A little goes a long way so use this sparingly. The color is a beautiful pink that reminds me of pink macaroons and Easter time. As the name says, it feels so buttery and smooth going on. 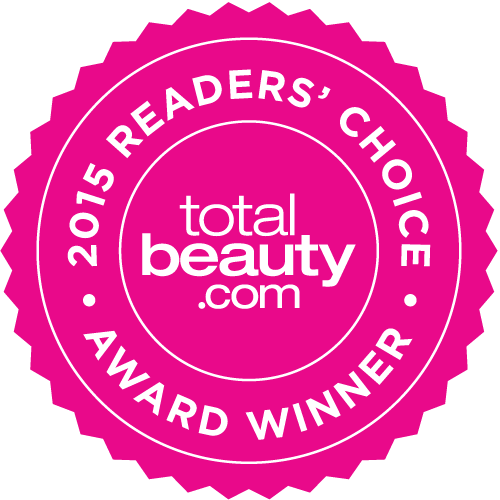 It glides well and does not feel clumpy or caked on after having it on for a few hours. I love wearing this over intense lipsticks on the center of my bottom lip to tone them down but to make my lips look fuller. 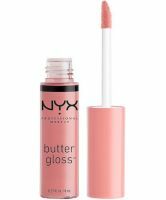 As all NYX products are well priced this gloss is under $7 and even though it's a small bottle, it lasts a while even with everyday use. If you like NYX cosmetics and are looking for a gloss, try this color! I thought this was going to be a clear tinted gloss like how it was swatched on the website. I got this in Maple Blondie and was hoping for just a tinted pink gloss. Instead the color turned out to be more pink than a glossy pink color. It makes me look washed out because of the frosty pink coral color. I had to return it. I decided to try a different color instead since I've heard many great revi...read moreews on this product all over Youtube and I really wanted to see what all the hype is about. I got this in the color Madeleine the second time around and it works way better. Finally a color that complements my skin tone. The only thing I don't like about the NYX line is that the color on the packaging is not exactly how it turns out when applied so I'm kind of biased towards this line AND hesitant to try new lip products from NYX because of this reason. I have to return multiple colors in the past because the color is way off and just gets annoying after a while. Enough about me having issues about the colors in this line. The formula on this lip product is super buttery, not too greasy, and not sticky at all. It's also really moisturizing. I can actually see why reviewers love this product so much. This has a nice sweet cupcake scent to it but taste nothing like the scent. I expected it to be sweet or something but it's not. The taste is a bit off but bearable enough. Just be on the lookout if you have to return multiple colors in order to find the right one for your skin tone. I now own Eclair as well and I love it! It has a light lavender/pink color and it looks amazing without looking too pastel or clownish. The gloss does smell nice, and the texture is pleasant, but it clumps on lips, and the color is really off. Very odd pigmentation. I like the packaging design, but that and the smell is about the only good things in this product. Will not buy again.